The School Renovation Company works on projects in and around the Denham area including Hillingdon, Uxbridge, Ruislip and Gerrards Cross. Having undertaken many school and nursery school renovation projects over the years – we know what it takes to make a project work. 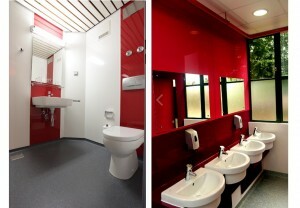 So if you are considering decorating classrooms, re-modelling your school library, replacing flooring in your assembly hall area, or completely renovating your toilets we will do our very best to work within the typically short time frames that schools have and ensure our work causes minimal or no disturbance. What separates us from the rest is our ability to implement your exact requirements and expand upon those using our expertise. Not only do we provide some of the most competitive rates you’ll find, but never compromise on quality and only source the very best materials available to us. Our team can help with every aspect of the project including design, building, flooring, plumbing, electrics, carpentry, decorating, furnishing and more.